Caramoor is a non-profit event venue in upstate New York, and is on the National Register of Historic Places. 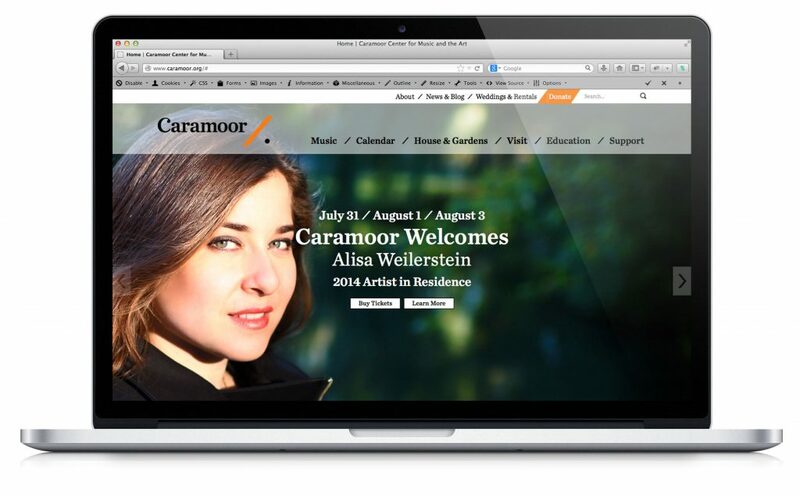 Check out their new website at caramoor.org. Congrats to the SD Team whose hard work and dedication led to a successful launch! We utilized new branding materials to elevate the design of the current site. Some features that we implemented are the event calendar, responsive design, and blog. The site is easier to navigate and browse across all devices. Images were used to communicate the Caramoor experience – to provide a feeling of walking the grounds or attending a performance. The calendar is an important addition. Previously, to get information about an event, it would link you to another site where you could buy tickets. Now, you would still purchase tickets through a third party, however; the events calendar makes it easier to browse through information on upcoming events without having to leave the site.